Home » Around The Box » Join Us at Paradoxos! What are you doing June 6th and 7th? Join the Shoeboxed team at Paradoxos! Para doxos is a two-day festival celebrating the power of ideas, collaboration, and what’s to come. Hosted in our hometown of Durham, NC, the event will bring together entrepreneurs, innovators and big thinkers from around the region and around the country. Shoeboxed is thrilled to be a taking part in the Paradoxos festivities and we’d love to see all of our great partners and users from the Triangle there! The NEXT, featuring speakers from TechCrunch, LinkedIn and The White House. Our very own founder and CEO Taylor Mingos is even speaking! The NEXT is happening at the Carolina Theater on Friday, June 7, from 1-5p.m. Grab your ticket before they’re all gone! The Nightcap, sponsored by Adzerk, the American Underground and Shoeboxed! Come party with us until the Bulls come home at our favorite local brewery, FullSteam. The tab opens at 8p.m. and includes free beer for the first 1,000 people. Come on, what’s better than free beer? For more details, or to get your ticket today, please visit www.paradoxos.co today. The tickets are going fast, so don’t delay! Are you attending Paradoxos? We’d love to see you! Let us know in the comments or tweet at us at @Shoeboxed. 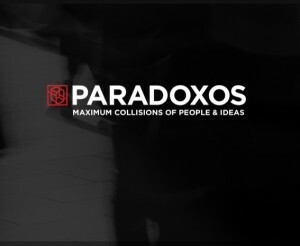 Join the Shoeboxed Team at Paradoxos!